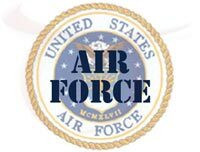 The Air Force Personnel Center (AFPC) is a field operating agency of Headquarters, U.S. Air Force, Deputy Chief of Staff for Manpower and Personnel. The following information is provided for individuals who have served in the United States Air Force and have retired or separated from service. Combat-Related Special Compensation was created to offset the reduction in military retirement pay for veterans who receive Department of Veterans Affairs compensation for service-connected disabilities. In June 2003, Congress enacted the program to restore that offset pay when the veteran's disabilities are combat-related. 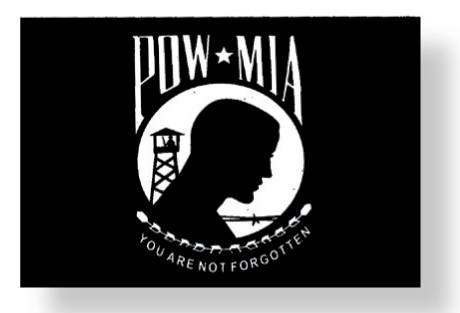 Click here for more information on Combat-Related Special Compensation. Those requesting a deceased relative's record also need to provide their relationship to the former Airman so next of kin relationship can be verified. If the relative was deceased after their separation or retirement, proof of death must also be furnished. Veterans may also access their record on line by registering for a Premium account on www.eBenefits.va.gov. Click the register button at the top of the home page and follow the instructions provided to obtain a premium account. If you have questions or problems with eBenefits, mouse over the HELP button on the top of the home page and then select CUSTOMER SUPPORT and follow the instruction provided. Veterans who separated/retired before Oct. 1, 2004, should contact the National Personnel Records Center for copies of their records. If you are a veteran or next-of-kin of a deceased veteran, you may now use vetrecs.archives.gov to order a copy of the military records. All medical and dental records for all Air Force personnel (retired or separated prior to May 1994) are stored permanently at theNPRC. All medical and dental records for all Air Force personnel (retired or separated after May 1994 are maintained by the Veterans Administration Service Medical Records Center (314-538-4500). Active Duty members who were released and are serving an inactive Reserve obligation should request copies of their records from: Air Reserve Personnel Center, ARPC/DPSC, 18420 E. Silver Creek Bldg #390 MS 68, Buckley AFB, CO, 80011, call 800-525-0102, option 3 or fax 478-327-2215. Those who served or are serving in the Air National Guard or Reserve can call the Air Reserve Personnel Center at 800-525-0102. The Air Force Board for Correction of Military Records is the highest level of administrative review within the Department of the Air Force. Unless procured by fraud, a decision is final and conclusive on all officers of the United States. Click here to find more information. The Air Force Retiree Services website offers the retiree family in-depth information on the Survivor Benefit Plan, plus a list of Air Force Retiree Activities Offices worldwide and various other resources. There are also sections dedicated to the Afterburner and Air Force Retiree News Service. The Defense Officer Personnel Management Act established special selection boards effective Sept. 15, 1981. Officers who have since retired or separated are considered provided they meet all board requirements. U.S. law gives military services the authority to reconvene boards to consider officers for promotion, regular Air Force appointment, professional military education, selective early retirement, reduction-in-force and/or selective continuation.